1. DO look at websites, magazines, and start a Pinterest board to get ideas of what you may like. Collect a few pictures for your Bridal Specialist so she can guide you in the right direction when you start looking through the dresses. 2. DO bring those most important to you! Yes, you want your family and friends involved, but bring those whose opinions matter most to you so you keep the focus on YOU when you are ready to say “YES”. Other members can help with bridesmaids dresses, accessories, hair ideas, etc- you have plenty of other things to plan to have everyone be a part of your special day! 3. DO wear your hair up (or bring a hair tie) and wear a makeup look you would wear for your wedding. 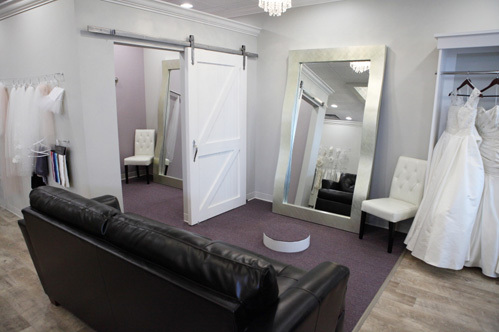 This way you can try on veils, hairpieces and jewelry and get the overall finished look. 4. DO wear the right undergarments. Remember to wear or bring along a strapless bra and shape wear to get a good idea of what a dress will look and feel like on your wedding day. 5. DO shop in the right timeframe. The last thing you need is to hear you cannot get your dress in time, but you also don’t want to become overwhelmed where everything looks the same after the 6th store. The best time to start shopping is 8-12 months out. Some companies take 3-6 months to ship a dress, but you also need to keep in mind you need 2-3 months for alterations and time to pick out accessories for hair trials and bridesmaids dresses for your girls to coordinate with you. 6. DO come with an open mind! There are so many gorgeous styles of dresses today and what you may envision yourself wearing may end up not being what you end up falling in love with! Your Bridal Specialist loves to play dress up so be ready to see a number of different looks that would work for you. 7. DO research stores ahead of time. 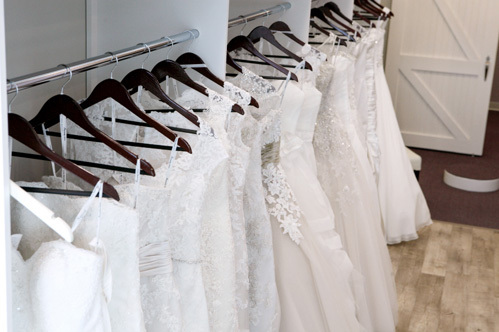 Many bridal shops will list designers they carry or show pictures of sample dresses. This way you get an idea of styles and price points. We list all of our current inventory on buccisbridal.com so you can preview our collection ahead of time! 8. DO schedule your appointments a week or two out. 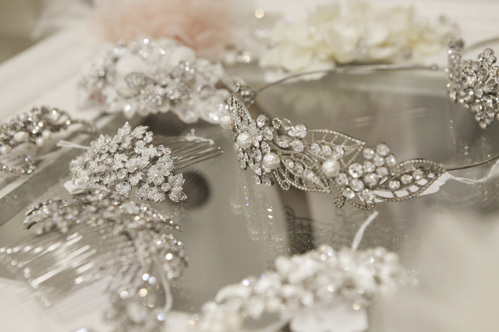 Many bridal shops become very busy during the Fall and Winter months. As soon as you know what day and time your party can get together, start making appointments before they’re taken!